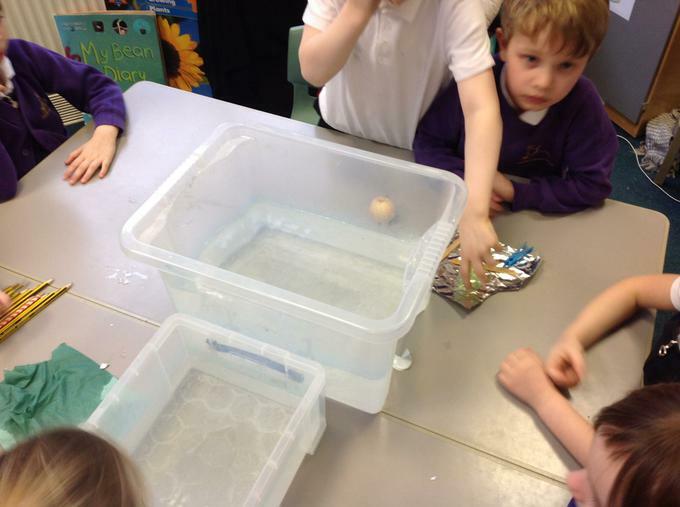 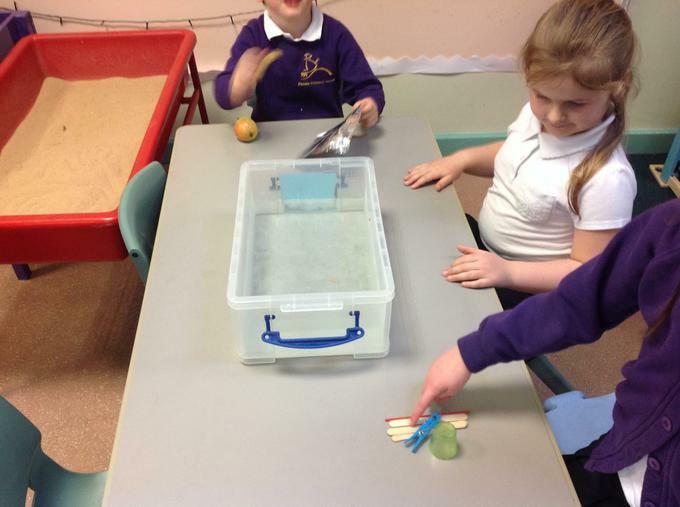 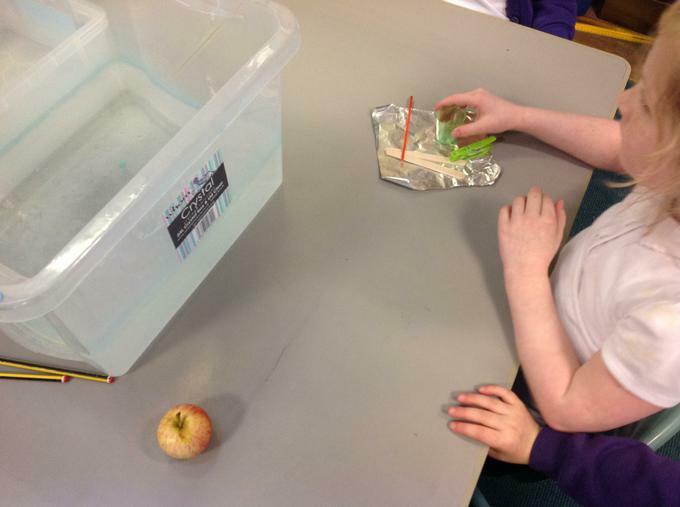 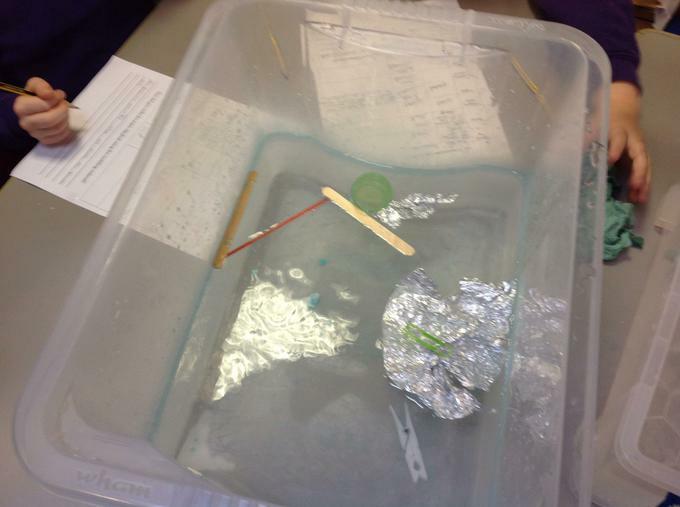 We used a range of objects to explore floating and sinking. 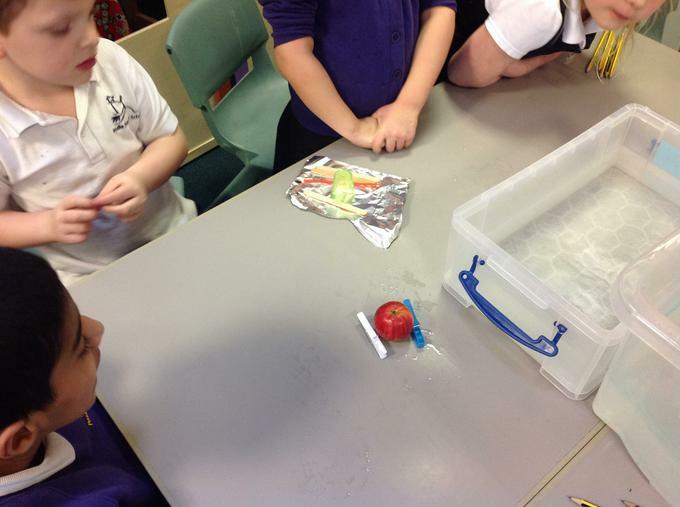 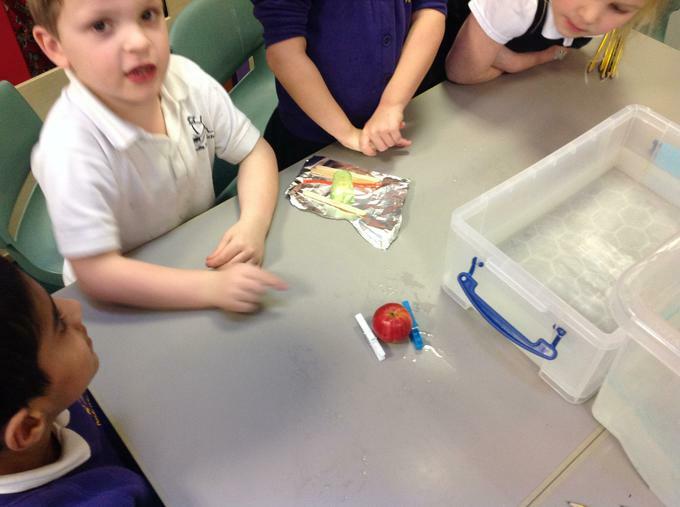 We tried manipulating the tinfoil and modelling material to see if that made a difference. 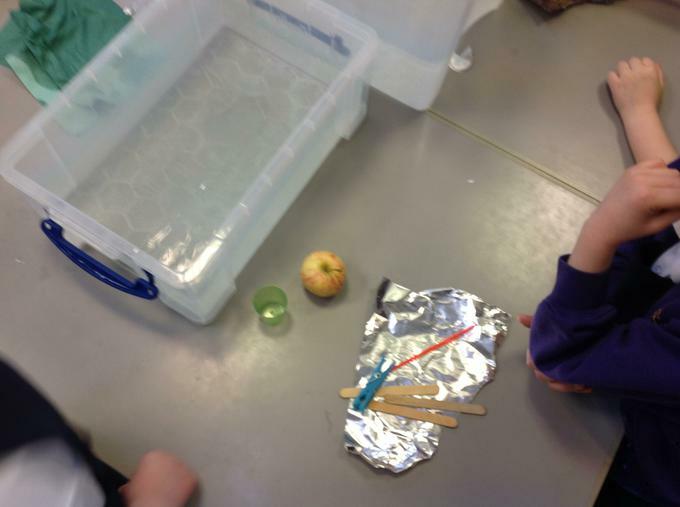 We found that if we folded the tinfoil to get all the air out we could make the floating piece of tinfoil sink. 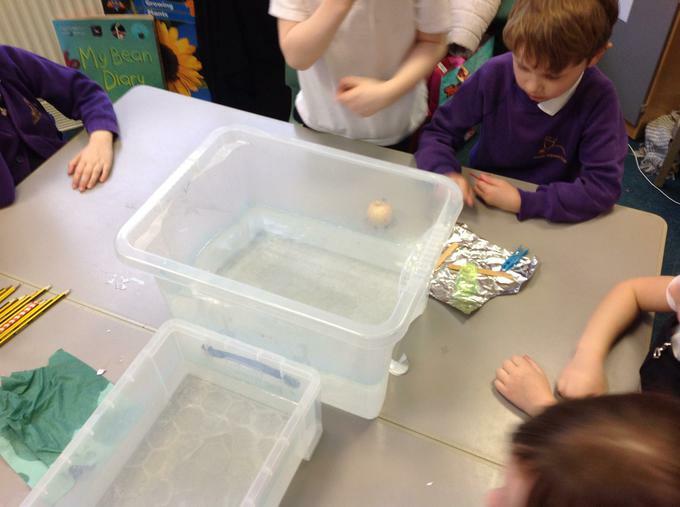 The plastic cup floated, however when we filled it with water the cup sank to the bottom.